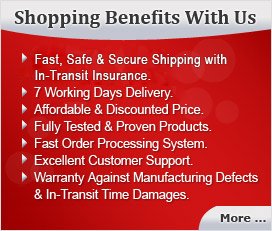 This kit is perfectly suitable for weight loss, attractive and good figure. It trims and strengthens your arms, legs, hips and thighs. This kit is equally important for both men and women and makes you more vigorous. Maintain your muscle tone and get in shape with this kit. Waist Twister - Waist Twister is a revolving disc with magnet at several points on which you can stand and twist. This cardiovascular disc is designed to slim and tone the thighs, waist, hips and buttocks. This is useful for exercising the legs, shoulder, arms and simultaneously strengthening & massaging the feet during workout. It is compact, portable and easy to store. Tummy Trimmer - High quality tummy trimmer with heavy duty double springs. It is a very effective product for trimming tummy, strengthening arms, legs, hips and thighs. One pair of Iron Dumbbells 1 Kg Each. Perfect for body toning, helps you to develop your upper body and arms. Skipping Rope for Fitness Exercise. This kit is perfectly suitable for weight loss, attractive and good figure. Trims and strengthens your arms, legs, hips and thighs. Maintain your muscles tone and get in shape. 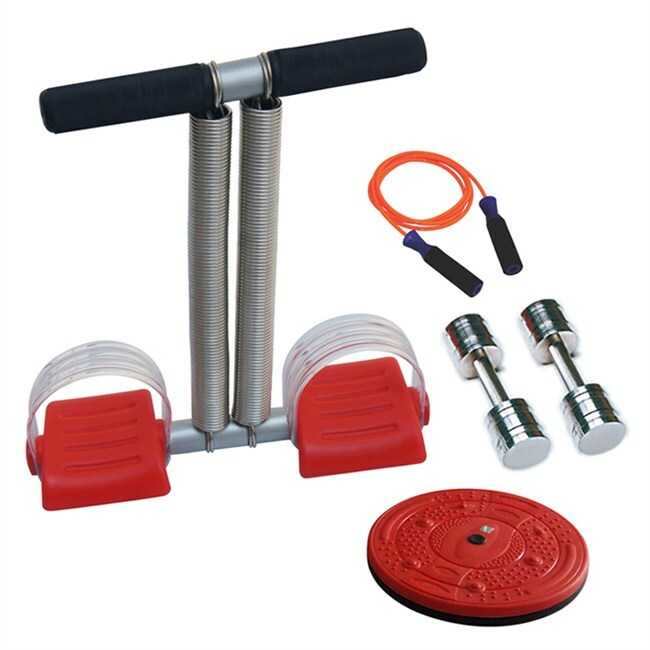 This kit provides a variety of different exercises. Ideal kit for home gym.